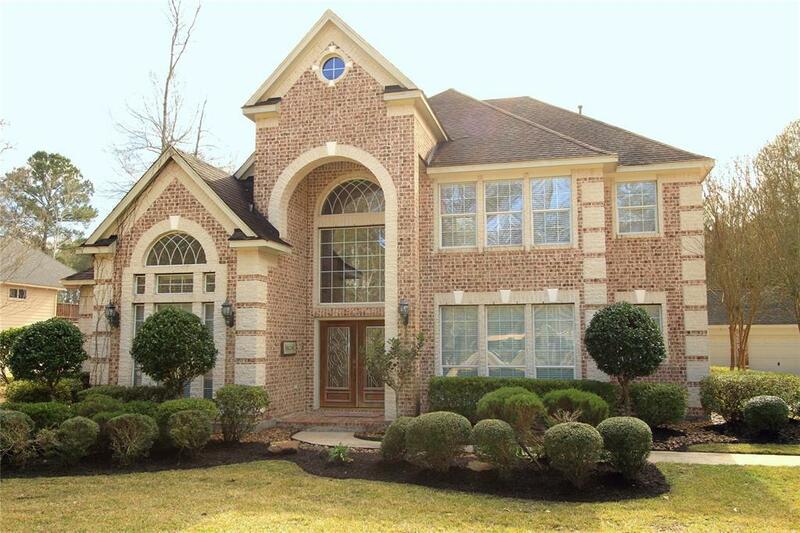 Gorgeous home is situated on 1.5 acres with 2 separate garages! The 3 car garage has front & back overhead doors and the 2 car garage behind it, is perfect for a workshop or storage. There's also extra space for RV & boat parking. 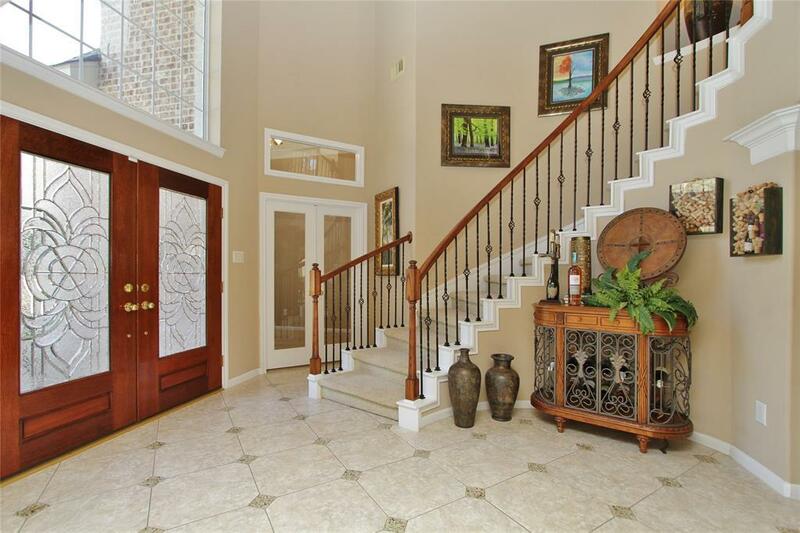 A private Study with French doors & soaring windows is tucked away off the 2 story Foyer & the Formal Dining room with Kitchen entry is on the opposite side. The Family room is open to the large Island Kitchen. Floor to ceiling windows in the Breakfast room provides backyard views from the Kitchen too!. A HUGE Master Suite will accommodate a King size bed & more! Master bath has 2 walk-in closets with pull-down rods for more space. 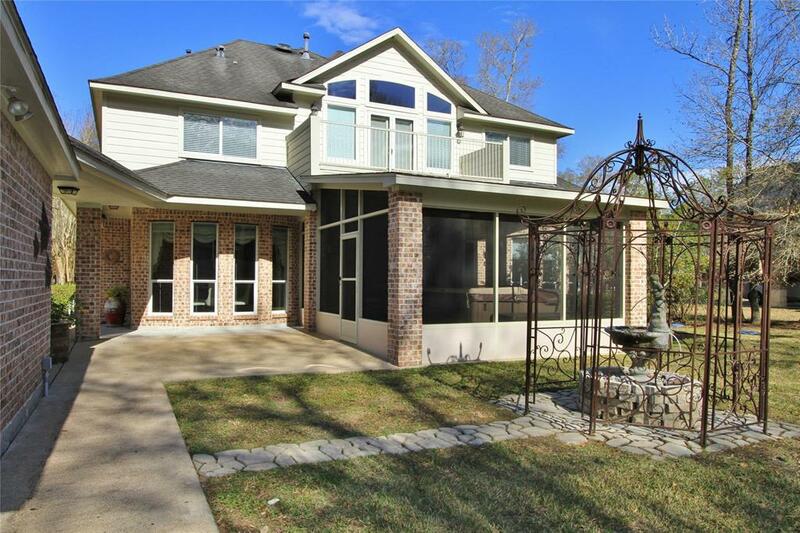 A HUGE Gameroom with a balcony overlooking the backyard is located upstairs along with 3 spacious bedrooms, 2 are divided by a Jack/Jill bathroom & 1 with private entry to a full bath. 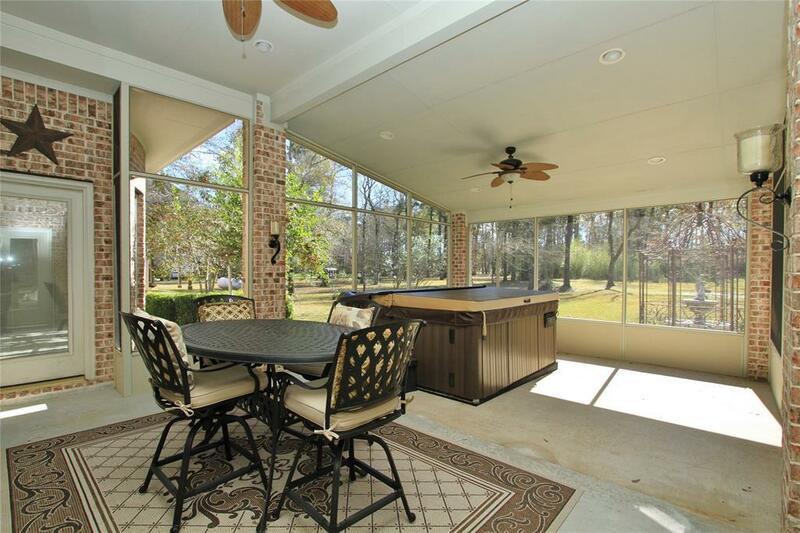 The screened in patio has a relaxing Hot Tub for you to enjoy year round! This home did not flood!